Hundreds of congregations are honoring Charles Darwin’s birthday today by observing “Evolution Weekend,” but a number of other churches instead are celebrating “Creation Sunday” and “Stop Darwin Day” to honor and acknowledge God as the author of life and all creation. 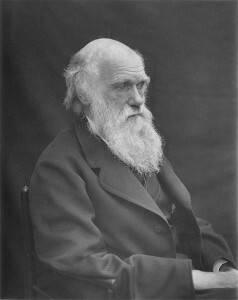 As previously reported, numerous assemblies celebrate Darwin’s February 12th birthday with “Evolution Weekend” or “Evolution Sunday.” The more than 300 congregations paying homage to the notorious father of evolution this year hail from many different denominations, including Baptist, Lutheran, Methodist, Unitarian, Episcopal, and Presbyterian. Since 2009, Tony Breeden, founder of CreationLetter.com, has led an effort to counter the evolution celebrations with the God-honoring Creation Sunday. In an interview with Christian News Network, Breeden described Creation Sunday as a “grassroots effort” that has seen surprising results. Churches who will observe Creation Weekend in 2016 include congregations in Florida, Georgia, Indiana, Kansas, Pennsylvania, Tennessee and Canada. Several are scheduled to host speakers from various Creation and apologetic ministries, including Living Waters, Answers in Genesis and Creation Ministries International. While some believers argue that a staunch commitment to a literal interpretation of the biblical creation account is divisive, Breeden disagrees. Not only is evolution incompatible with the Bible, Breeden argues, but it leads many people to walk away from the Christian faith. “There is always a crisis point when one considers the claims of millions of years and/or microbes-to-man evolution because these concepts stand at direct odds with the plain meaning of Scripture, which reveals a young earth created in six calendar days about 6,000 years ago and that organisms were created according to their respective kinds,” he said. Breeden hopes to disseminate this message each year with Creation Sunday as churches celebrate God and His word instead of Darwin and evolution. “We’re working together for God and His glory, and I think that’s just awesome!” Breeden said.